Hello Loves! 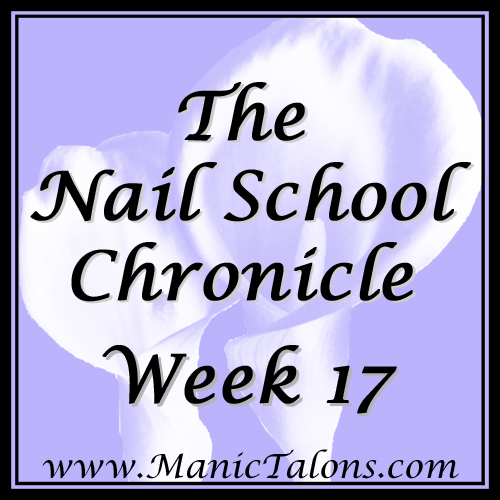 Week 17 of nail school is now behind me. Whew...I'm on the downhill slide now. I'm still behind in hours, but I'm staying late every Monday to make them up and hopefully I can still make my May 15 graduation date. I can't believe how close it is getting! So, what happened in school this week? I've got nothing. Ok, that's not true. It was a fun and busy week, but I didn't get any photos to share. We did start the chapter on artificial enhancements this week. Crazy right? I've been working with acrylic since the first week of class, so the chapter seems a little late to me. It's all part of GCI's rolling curriculum. Since you can technically enter the program any Monday, the chapters might not always occur in the most logical order. Either way, it's a fun chapter and we're starting the gel portion next week. Needless to say, I'm looking forward to that one. Ok, since I don't really have anything groundbreaking for the school update, how about we make this post a little fun? I've been itching to sit down and do a mani on myself without having to stop and take a million pictures along the way, so I did just that this past weekend. No swatches to go with it, but I promise I'll get to those soon. I originally planned to do an Easter mani, but it just didn't end up that way. lol Want to see it? Anyway, the base for this one is a fun marble with Purjoi One Step Gel in Calm Waters and Sweet as Pie. Calm Waters is a beautiful medium blue and Sweet as Pie is a slightly bright lime green. As I mentioned earlier, I'll swatch them for you soon. Purjoi One Step Gels are super easy to marble since they are thicker. I applied and cured a coat of Purjoi French White as my base for the marble. The I applied one coat of Calm Waters. I added a few blobs of Sweet as Pie to the wet layer of Calm Waters and swirled them together with a dotting tool. Once they were sufficiently swirled, I cured them. I then stamped with an image from MoYou London Pro 13 (XL) and Mundo de Unas Black. It definitely isn't Easter-y, but I love how it turned out! Speaking of Purjoi, I'm hosting a PurJoi giveaway on Instagram! Swing by my IG account and look for the following photo to learn how you could win 2 Purjoi colors of your choice! 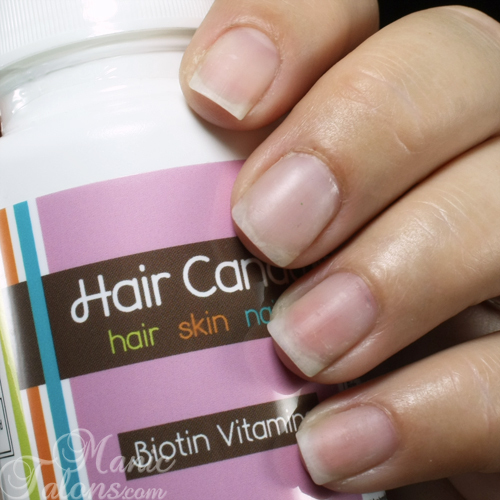 Finally, I have an update on my progress with the Hair Candy vitamins I received to review. 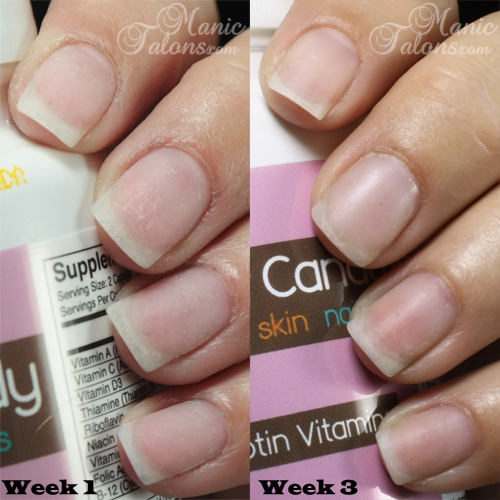 You may remember I shared a completely unedited (other than crop and watermark) photo of my nails in my Week 14 update. Not only are my nails wrecked from experimenting on my own hand, but the skin around my nails was in super sad shape. I've been taking the vitamins for 3 weeks now and I have a progress photo to show you. Like before, this is completely unedited other than cropping and rotating. You'll notice my poor broken middle nail that is being supported by a clear acrylic overlay. All of my other nails are naked. I don't really see a difference in my nails yet (totally expected since you can't really heal damage to dead cells), but my skin is definitely improving! It's still rough, but no where near as bad as it was. Here's a side-by-side comparison with the first week and now. The improvement is undeniable! As with the before shot, I did not apply lotion or oil before taking this photo. I washed my hands and allowed them to dry. That's all. That's all for this week. 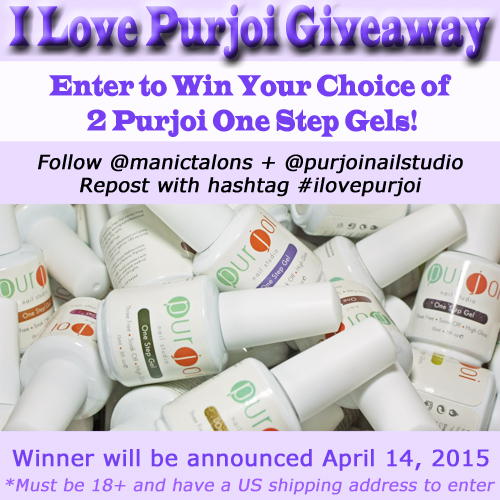 Don't forget to swing by my IG account and enter my Purjoi giveaway! 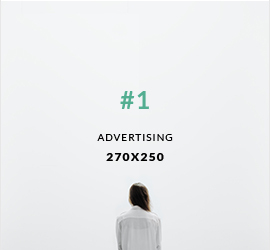 *This post uses Purjoi and Amazon Affiliate links. Purchases through these links generate commissions that help fund this site. The Hair Candy sample reviewed in this post was provided by Hair Candy for my honest review.